On 18.01.2017 Inga Eriksson Fogh, the Ambassador of Sweden and Daniel Larsson responsible for Team Sweden at the Embassy visited SPCleantech. Swedish guests were interested in areas for cooperation between Team Sweden and SPCleantech within promoting Swedish-Polish business relations and Swedish innovativeness as well as the cooperation within support for start-ups in ICT and Cleantech. 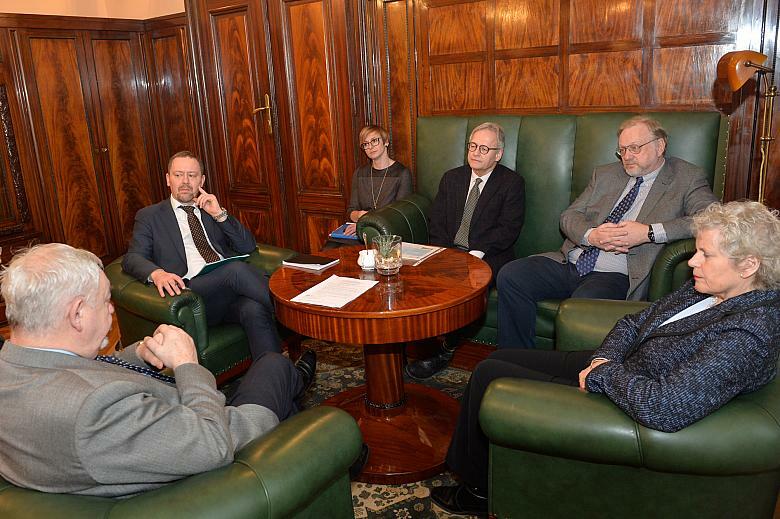 The parties also discussed how can Swedish business presence in Krakow be increased. After the meeting the Ambassador, Daniel Larsson and CEO in SPCLeantech, Janusz Kahl visited Mayor of Krakow, Jacek Majchrowski. Swedish guests were interested in how is the implementation of the anti-smog law proceeding in the Malopolskie region. The next visit was at Ericpol, company acquired last year by Ericson, the Swedish giant in ICT, with 1 300 employees in Krakow and delivering know-how and methods for outsourcing, consulting, IT-management and dedicated IT services. Next day the group visited Sweco, which is an engineering consultancy company with 110 employees in Krakow and mainly providing services in the fields of architecture, construction and environmental engineering. Sweco has branches in 15 different countries.